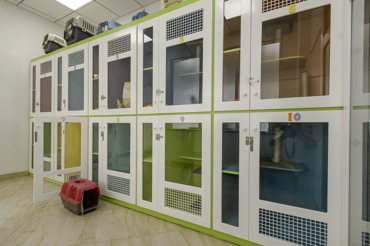 small cattery for approximately 10 cats located in air conditioned part of our premises. There is small playing area for the cats staying in our cattery so they can enjoy some activities and exercises on daily basis. While staying whit us the animals are under constant veterinary care so if required by their owners they can also undergo some procedures like dental scaling, castration, sterilization, grooming etc. which is a great convenience for the owners.